When you think about the Venetian, what comes to mind first? Las Vegas, right? Bright lights. Desert heat. 24-hour excitement. Great shopping… and endless possibilities. Well, Las Vegas might come to your mind, but for hundreds of millions of people outside of North America, the word Venetian conjures up images of Macau, the gambling nexus for Asian casino players and those situated in Europe and Asia. Asians are some of the world’s biggest gamblers. How big? Let’s just say that even Las Vegas is taking notice. Sin City is building a $2 billion Asian-themed resort where the old Stardust hotel used to be. The complex will include a replica of the Great Wall of China and a special enclosure for panda bears. 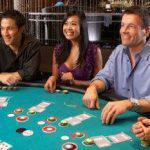 But you don’t have to wait for the property to open to enjoy Asian casino games. 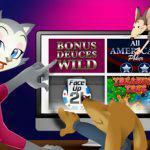 You’ll find them at the best online casinos—and even in some land-based casinos too. 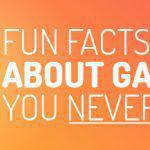 Here’s a look at the most popular Asian gambling games. 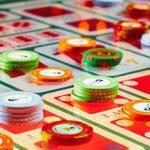 This is one of our favorite Asian casino games. If you love Hold’em or any other poker variation, you’ll love this one. Basically, you’re dealt 7 cards and you need to create a 5-card hand and a 2-card hand. The 5-card hand must be better than the 2-card hand (so you can’t have a pair of Queens in the 2-card hand and a pair of Jacks with nothing else in the 5-card hand). To win, both hands need to beat the dealer. Can’t decide between Roulette and Craps? Sic Bo combines the two—sort of. Your job is to bet what dice will pop up. There are three dice being tossed and you can bet on the outcome of just one of the dice if you like. Payouts are as high as 180:1 in some cases! 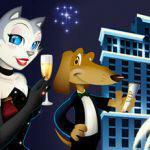 All right, so this one might not be available at your favorite land-based casino, but CoolCat Casino has it. 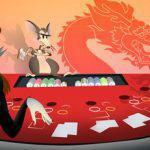 The Asian cuisine-inspired game will have your mouth watering the second you hit spin. We’re talking succulent beef, noodles, fortune cookies, and chefs serving up incredible dishes. Another one of our favorite slots, Ninja Star is a Japanese warrior-themed game that lets you sneak up on all sorts of big wins. Play this one at CoolCat and you’ll feel like you’re in the middle of a high-flying ninja fight. This one is a lot like Pai Gow Poker, only it’s played with tiles. Also called Chinese Dominoes, your job is to put together two hands using four tiles. It’s a lot more challenging than regular Pai Gow Poker, because the hands aren’t so obvious and all those dots can cause a headache. But if you can get the hand of it, you’ll love it. Looking for even more Asian gambling games? 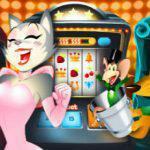 Check out everything CoolCat Casino has to offer and discover a new game you might fall in love with—all without having to travel to Macau!